Can you believe that for the longest time, I just boiled corn when serving it as a side dish? It didn't matter if it was still on the cob, came from a can or was just taken out of the freezer. I'd boil it for just a few minutes, drain and serve with butter. It was always good, which is probably why I never considered making it any other way. But I'm starting to learn there are other ways to cook corn, and the recipe below has become one of my favorites. 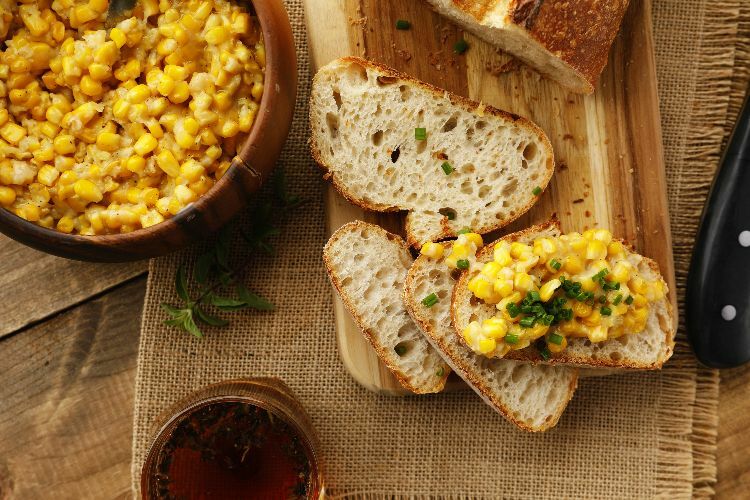 Plainly speaking, this corn dish is really just corn that slowly cooks in a roux. You can create the roux ahead of time or do it the old-fashioned way of melting butter and flour together in a skillet. I like this latter method because I find that my flour gets lumpy when I try to do it any other way. The corn will still be very sweet and, because it cooks slowly, still crunchy and delicious. It beats boiling all those delicious kernels any day. Melt butter in a large skillet over medium heat. When melted, add flour and whisk until smooth. Allow the flour to cook out for 2 minutes. Slowly whisk in the water, breaking up any lumps that form as you do. Add salt, pepper and sugar and stir. Add frozen corn and stir again. 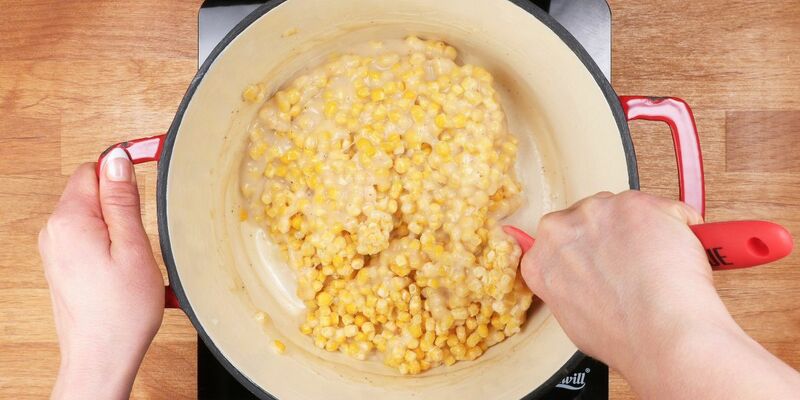 Lower heat and cook corn in the mixture for 40 to 45 minutes, until it is bright yellow and has softened slightly. Stir regularly to keep the corn from burning.